While most manufacturers made their tweaks under the hood this year, Honda did the most body restyling. 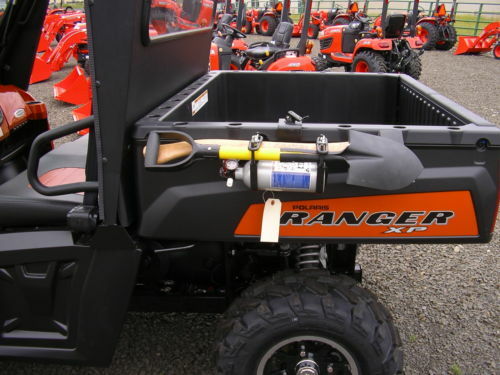 The Foreman and straight rear axle Ranchers have an all new look for 2014. Following a design that started with stealth warplanes and later trended into the automotive industry, Honda traded curves for flat, angled surfaces. But that’s just what was changed on the surface. 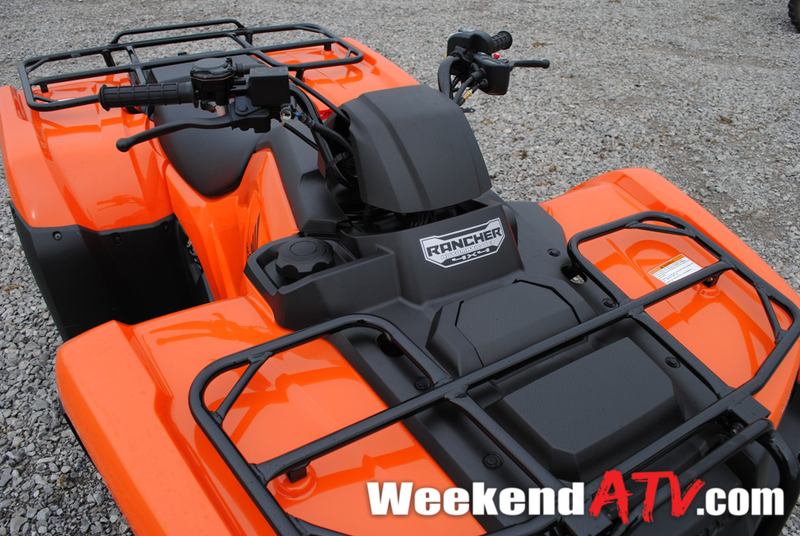 To get a feel for the updates we picked up a new 2014 Honda Rancher 4×4 Automatic DCT (TRX420FA1E). 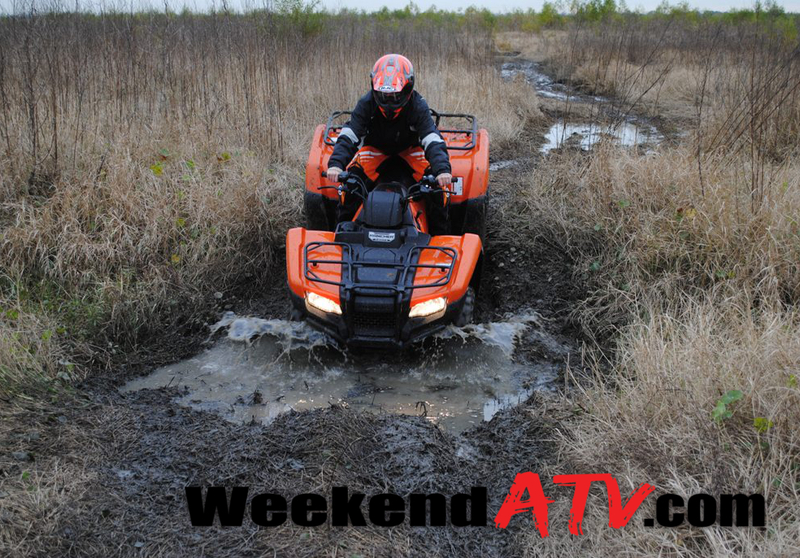 The Honda Rancher has long been a staple of the utility ATV market. 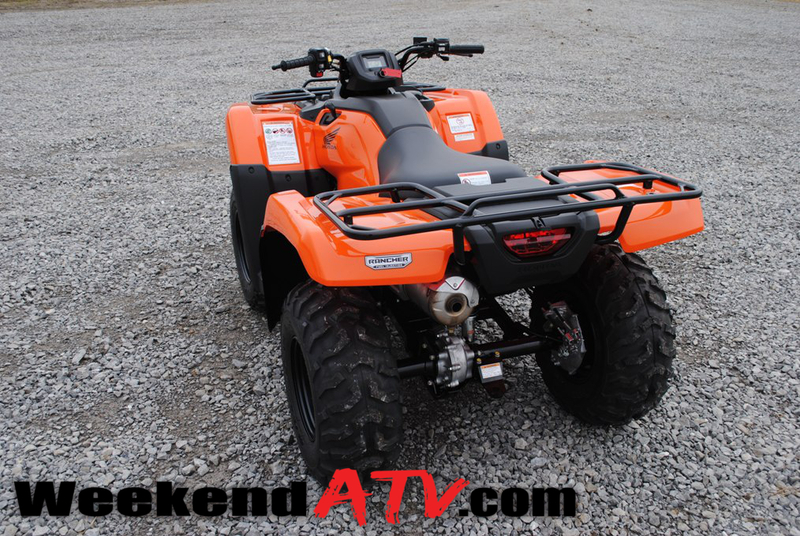 So on some level its a surprise that Honda did as much rework on the Rancher as they did. 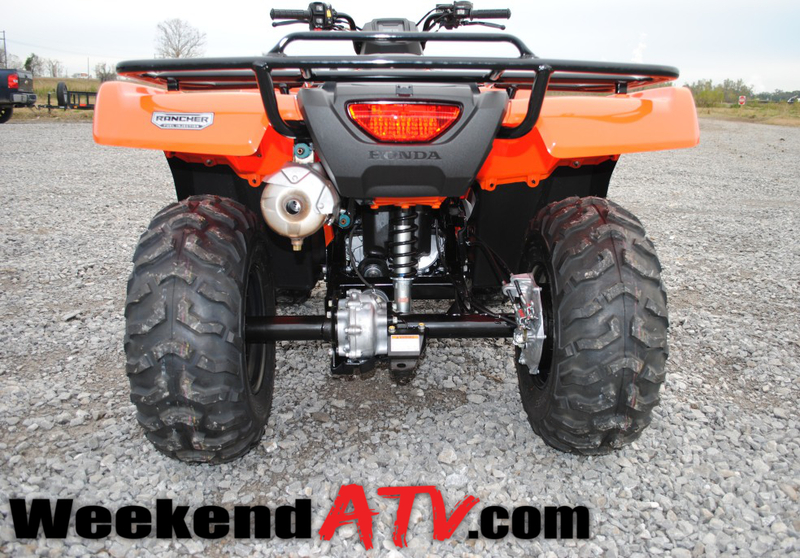 They continued to use the proven 420cc longitudinally-mounted engine, but placed it in an all new frame. It’s 20% stiffer which means more stability and precision for you. 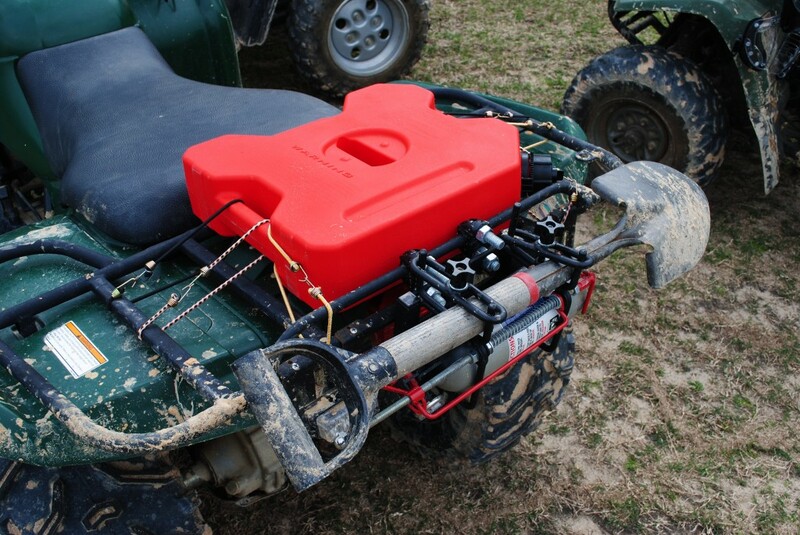 One of the best features on the Rancher line is the presence of fuel injection. 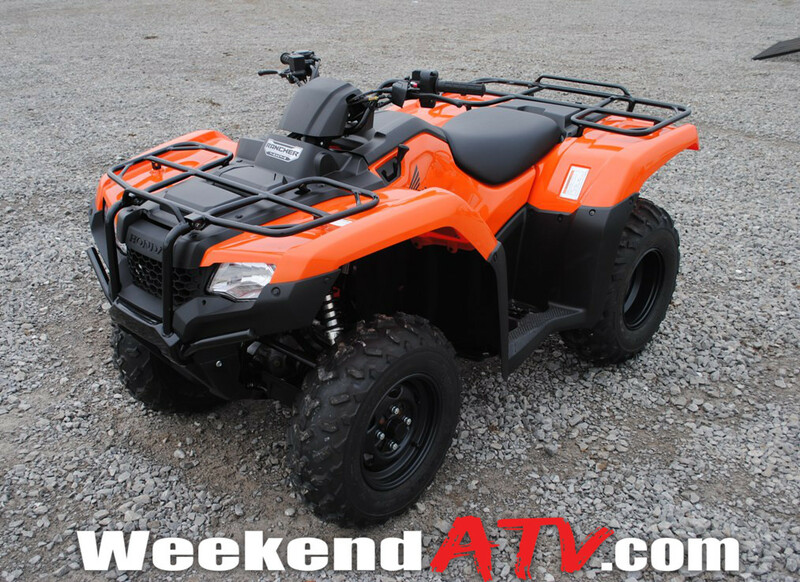 It’s one of the lowest price ATVs with EFI and for 2014 it has increased fuel economy. Honda also borrowed technology from their automotive line and put in a new in-tank fuel pump. Speaking of which, the fuel tank has been increased to 3.9 gallons. The rear axle is now enclosed and the rear brakes have been moved to the right rear to increase ground clearance. 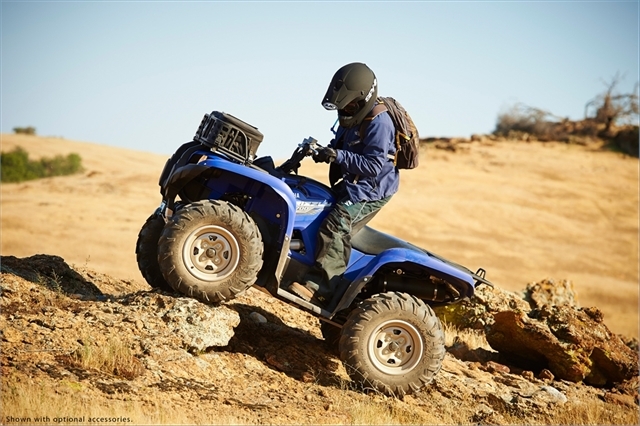 New bushings, bearings and CV boots all around make for more durability and longevity in your investment. With the rider in mind Honda has made the pilot’s seat more comfortable with a softer, thicker foam. The new digital dashboard design adds fuel level, clock, water temperature and maintenance reminders to the gear position, odometer, speedometer and hour meter that were previously present. Since your day ride has been so comfortable you won’t want to stop, the new 35-watt headlights will brighten your path on the trails as you continue to ride off in the night. 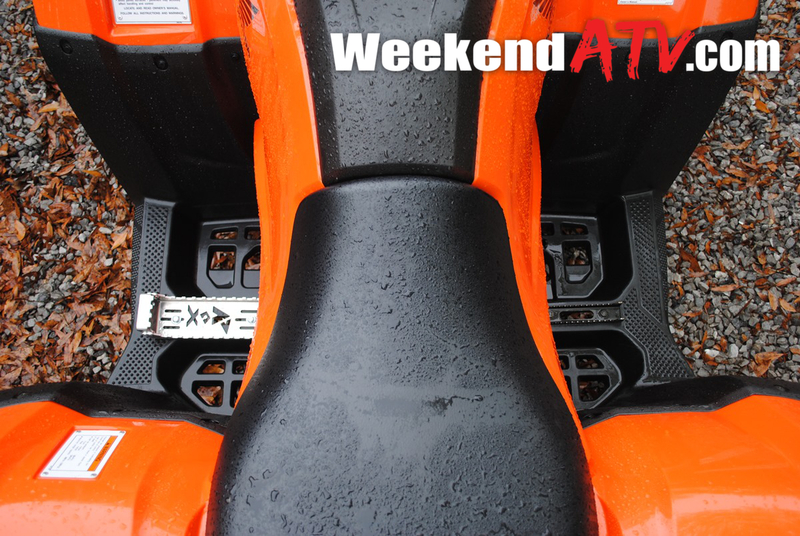 There’s also more travel in the front and rear suspension. And if you feel like an even sportier ride you can also switch from the fully automatic DCT transmission to the Electronic Shift Program (ESP) and shift through the 5 speeds manually. 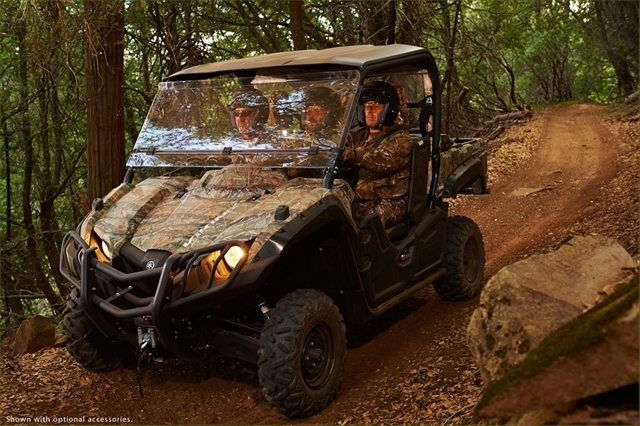 And finishing off the style changes, Honda’s new Phantom Camo is available on four-wheel drive models and a new orange is available on Automatic DCT models in addition to the traditional red and olive options. If the Rancher looks bigger than you are used to you don’t need to get your eyes checked. 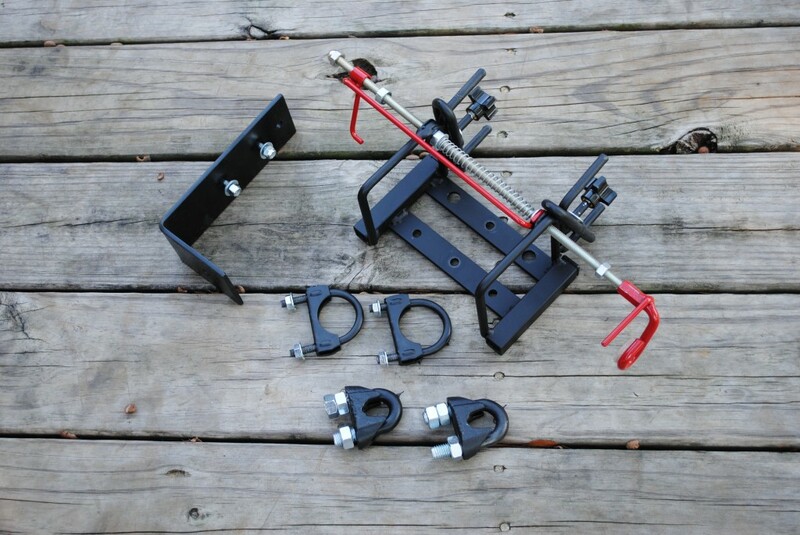 It’s 1.9 inches longer, 1.3 inches wider and 1.1 inches higher (82.8Lx47.4Wx46.2H). The wheelbase has been stretched 0.7 inches and you’ll be playing with 0.7 inches of additional ground clearance at 7.2. And if you like to do your own maintenance, the one piece body removes easily to grant access to the areas you may need to get to. A one year warranty covers bigger issues and can be extended for a few more years. So all this sounds great, but how does it ride? Our first rides were in the heart of winter. 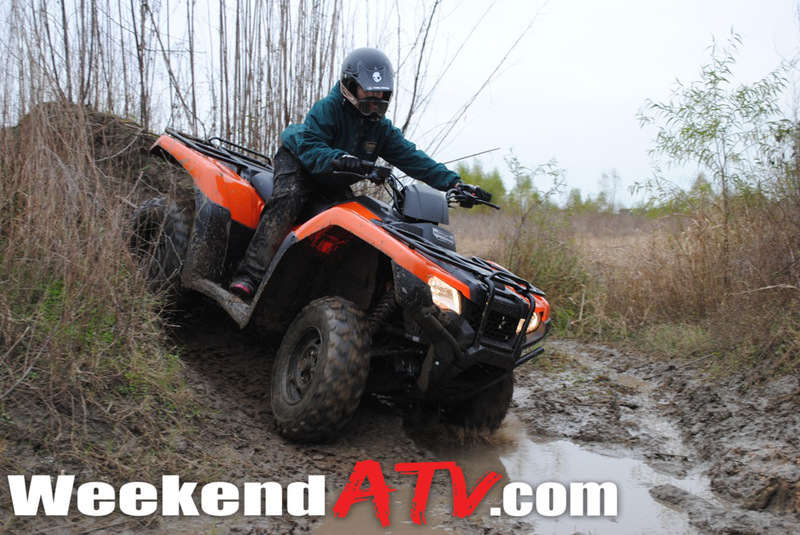 Thanks to EFI our 2014 Honda Rancher didn’t care at all. While the surrounding carbureted machines struggled to wake up, the Rancher was eager for trails. The acceleration is impressive for a 420. There is plenty of power and then some. The dual clutch transmission (DCT) shifts firmly feeling similar to a manual transmission even if you’re being light on the throttle. 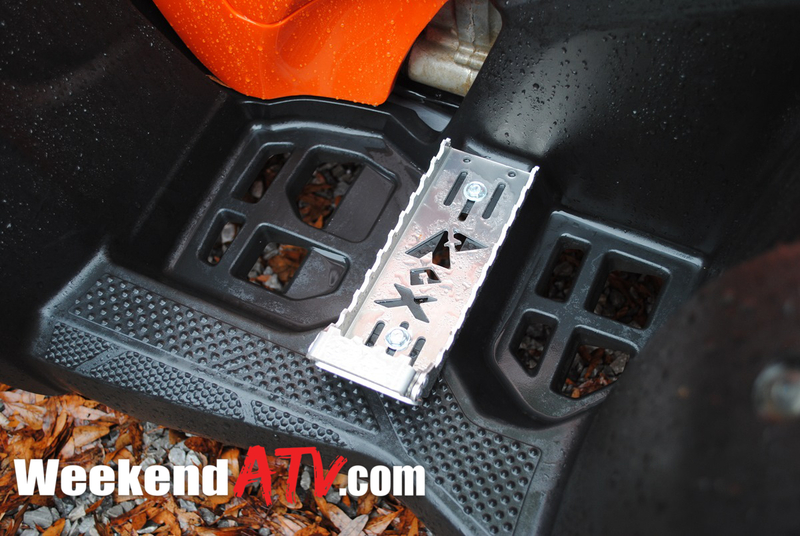 The electronic shift option is handy in sticky situations or when you just want to have a little more fun. 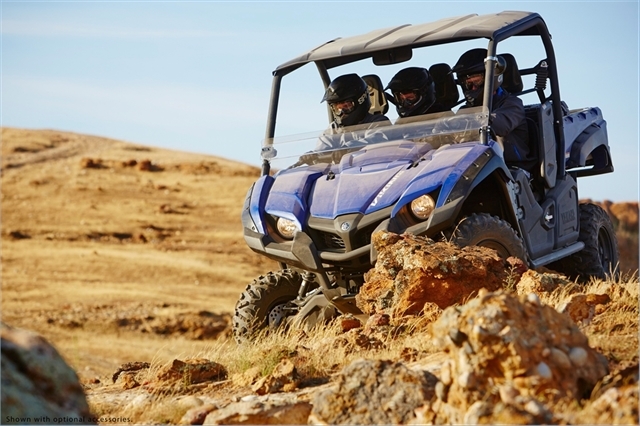 The cushy seat and suspension make the ride super comfortable. You can tell it’s a straight rear axle instead of IRS but it’s still a great ride. Speaking of IRS, the IRS models of the Rancher are available for 2014 but they are unchanged from 2013. I would imagine the updated IRS model will be out later this year. The 4WD option works smoothly and handles well. We were unable to find a reasonable situation it couldn’t pull us through. Our model was without electronic power steering (EPS). For a few hundred dollars more yours can be equipped with it but we never felt it being particularly needed. Despite the heavier front end the handling feels like a lighter 2WD quad and it tracks like it. Even in off camber positions it felt solid and controllable. If you’ve never driven a Rancher then you’ve been missing out and need to catch up. 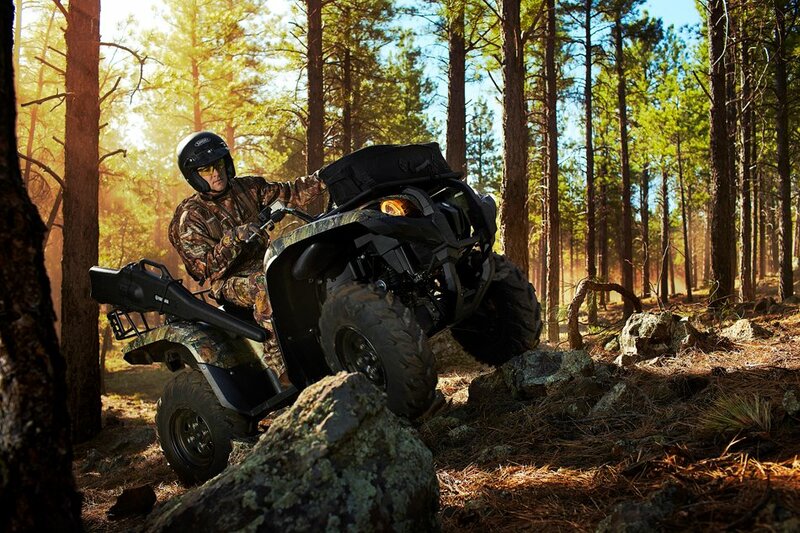 If you are well acquainted with the Rancher then have faith that Honda is continuing the legacy. 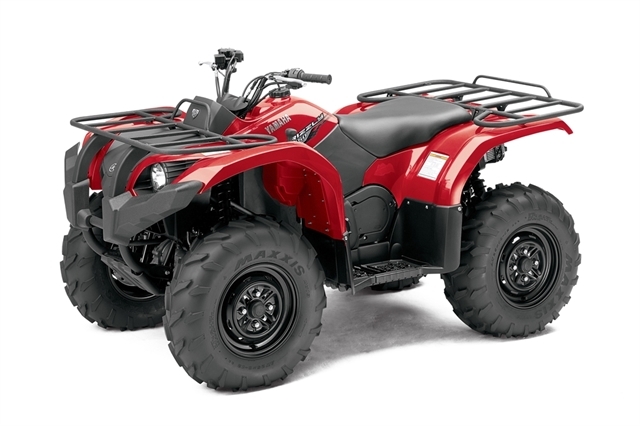 With a base MSRP of $6,699 the 2014 Honda Rancher 4×4 Automatic DCT is right in line with the rest of the models in its class. 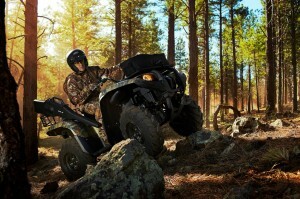 For more information on the new Ranchers or to find your nearest dealer check http://powersports.honda.com. 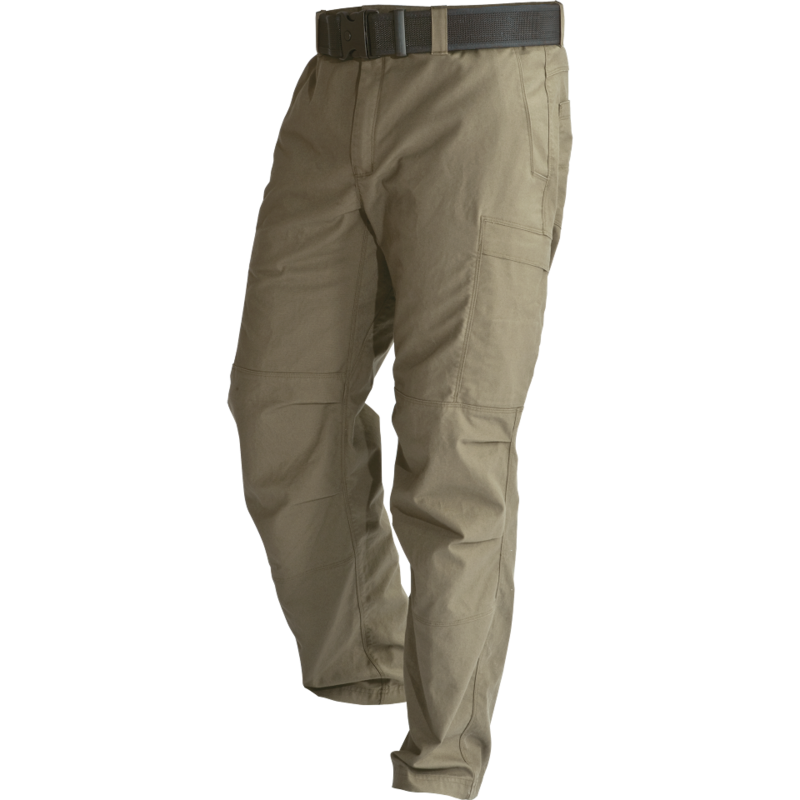 Tactical pants are a rapidly growing industry. 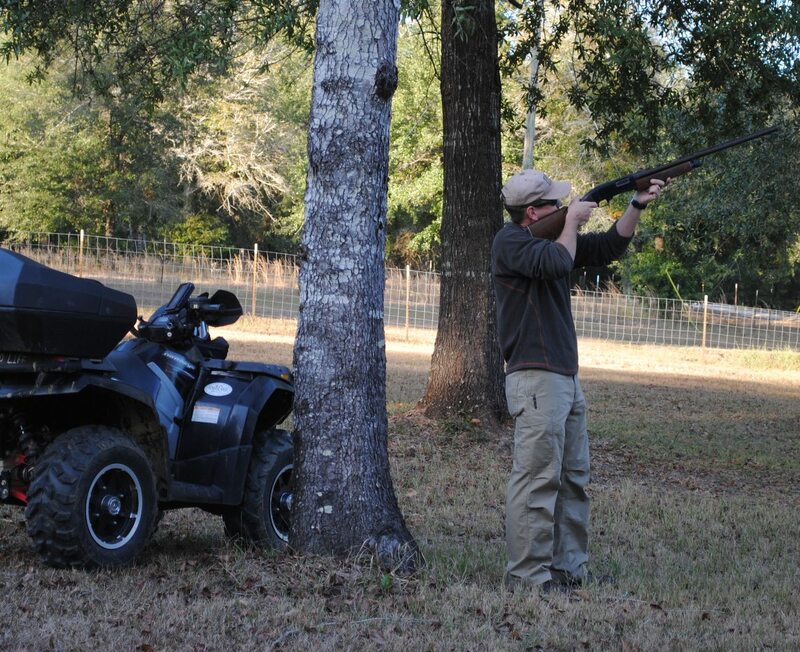 And there’s a good reason why these specialty pants are finding their way into your local sporting goods stores. It’s because they are very durable, versatile and comfortable. I wear tactical pants 5 days a week and have several from different companies. The Vertx Original Tactical Pant is easily my favorite so far. 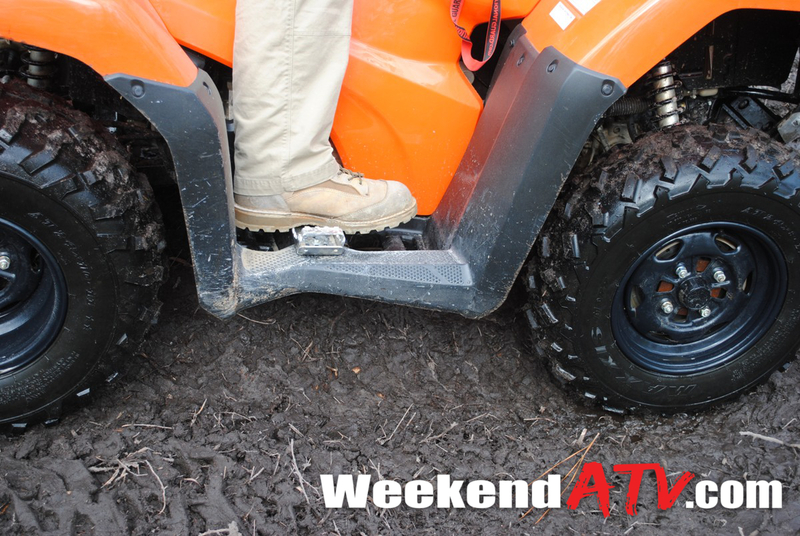 The Vertx Original Tactical Pants are great for off-roading. They are comfortable enough to wear all day and durable enough for whatever environment you are headed to. The pants are constructed of 98% cotton and 2% spandex. The knees are reinforced and articulated. The crotch is gusseted. The waistband has elastic to allow for the perfect fit and freedom of movement. Reinforced seams and Lycra keep the fit perfect and ready for anything. The pants feature multiple pockets. The cargo pockets are inset so they don’t bulge like traditional cargo pockets. There are dividers inside the pockets to help prevent items from moving too much. The front pockets include a notch perfect for a knife or utility tool. A concealed zippered pocket is in the right front pocket for extra security and the rear pockets include a flap the helps secure your wallet. Vertx makes the pants in 1 inch increments from 28 to 36 waist and 2 inch increments to 54. Inseams are available from 30 to 36 and unhemmed for your own length. The women’s version is available in size 0 to 18 with inseams of 30 to 36 inches. 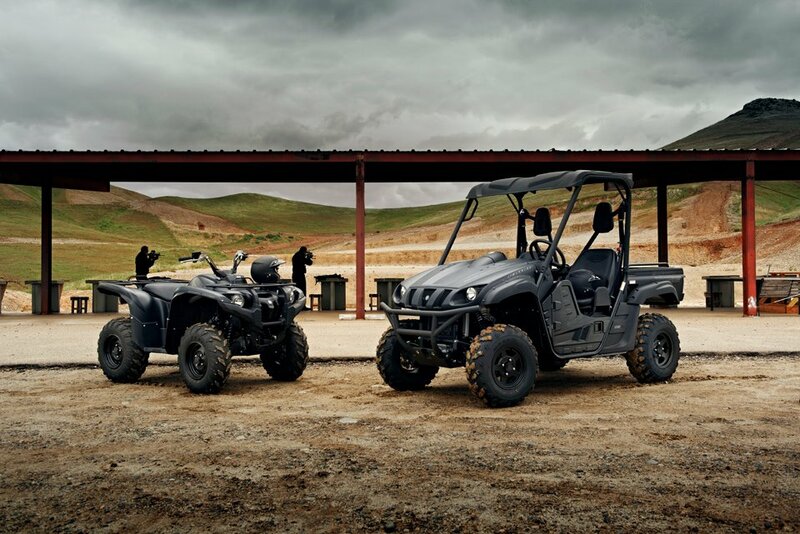 While you won’t find them in Kawasaki green or Honda red you can pick them up in earth tone colors like Black, Khaki, Desert Tan, OD Green and Navy. Besides, if you’re looking to get more attention on your wardrobe than your ride maybe you should spend the day at the mall.